Brown rice’s health benefits have been known for thousands of years, starting in 2500 B.C. Brown rice is 100% whole grain where white rice is not. The Malaysian brown rice is so precious that it yields only 1% of China has and 9% of Thailand's brown rice production. 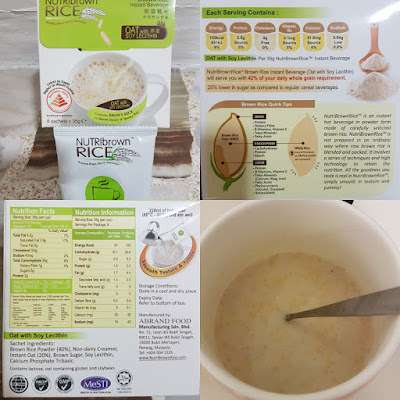 Brown Rice (whole grain rice), is a paddy seed that only its hard shell is being removed; and its inner protection layers that contain richer vitamins, minerals and dietary fiber are still intact. The most prominent feature of Brown Rice is the Germ; it is a complete seed with vitality. Brown Rice, compared with white rice, is much more time-consuming to boil, difficult to chew because of its rough texture but its health benefits are remarkable. So why many turn into brown rice nowadays? Dieticians and nutritionists are strongly recommending brown rice as an excellent source of all-round nutrition: manganese, magnesium, iron, selenium and the vitamins B1, B3, B6 and Vitamin E. Brown rice is a good source of dietary fiber, protein and gamma-oryzanol. So what's the difference with the usual white rice? White rice is high is high in calories and carbohydrate while low in all the healthy area and there's no Vitamin unlike brown rice. 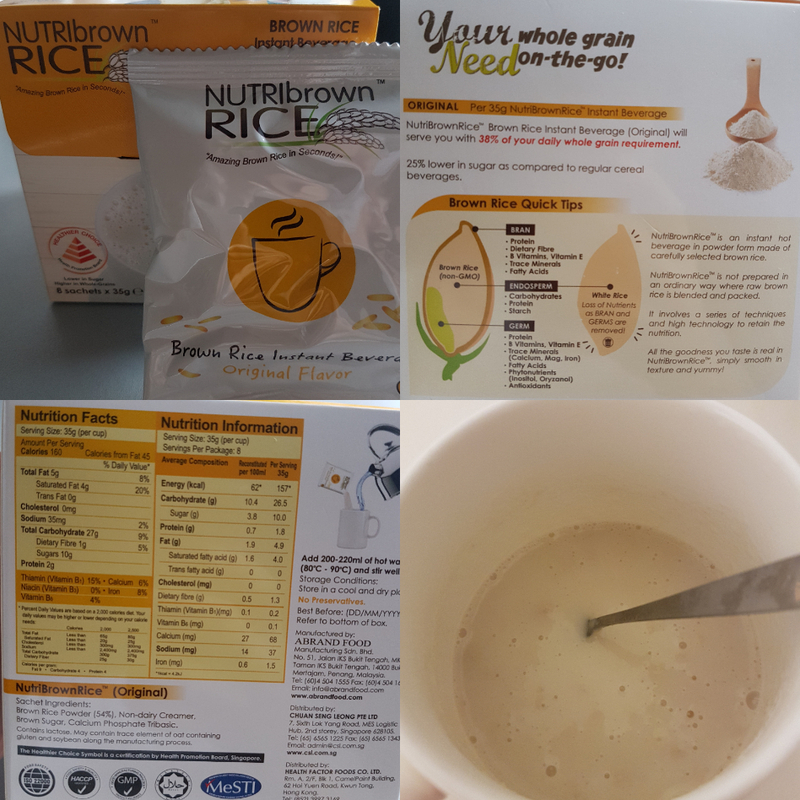 There are more and more human turning into brown rices now aday because of all the healthy benefits it contains. There are 5 wonders of Brown Rice. Lastly it help in weight control! That's why I'm drinking them now rather than drinking "Milo, coffee and etc" for my breakfast / tea break. You can even consume just before your sleep! 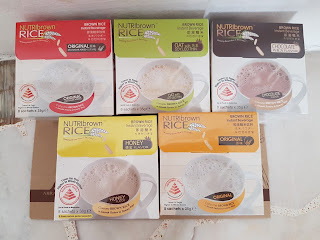 Thanks to Nutribrown, I'm able to try so many different flavors of Brown Rice. 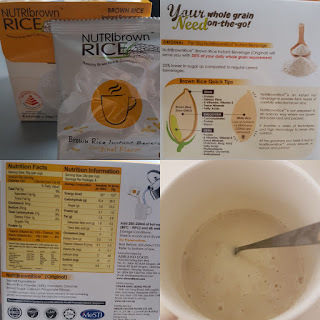 It's also very easy to bring around with me too as it's in those instant drink packaging unlike the olden style inside those "Metal Tin"
NutriBrown revolutionized the modern way of consuming brown rice. Today, their company leads the world in innovation with high technology processing method that transforms the originally rough texture of brown rice into ultra smooth instant powder while retaining the natural vitamins and minerals of brown rice, which is inevitably the "King" of all grains. I was given 5 different flavours to try. Suitable for everyone, especially those who are strict in low sugar diet. It contains inulin which acts as prebiotic to promote healthy digestive system. With prebiotic and being it sugar free, I add this into my son's milk formula as he is rather picky eater and has poor digestive system. After mixing with his formula for a few days, I noticed that his digestive has improved largely. It is mild yet delicious. Ideal for breakfast, teatime and supper. Inulin, a prebiotic fiber that is a natural component that occurs naturally in many plants, has also shown particular promise for Type 2 diabetes. A person with Type 2 diabetes who consumed 10 grams of inulin a day for two months had improvements in glycemic control and antioxidant levels. As suggested: Please have a quick check with your doctor or dietician if you have a very specific diet requirement or chronic health conditions. 100% natural floral honey sachets packed separately. Honey is a natural flavor! 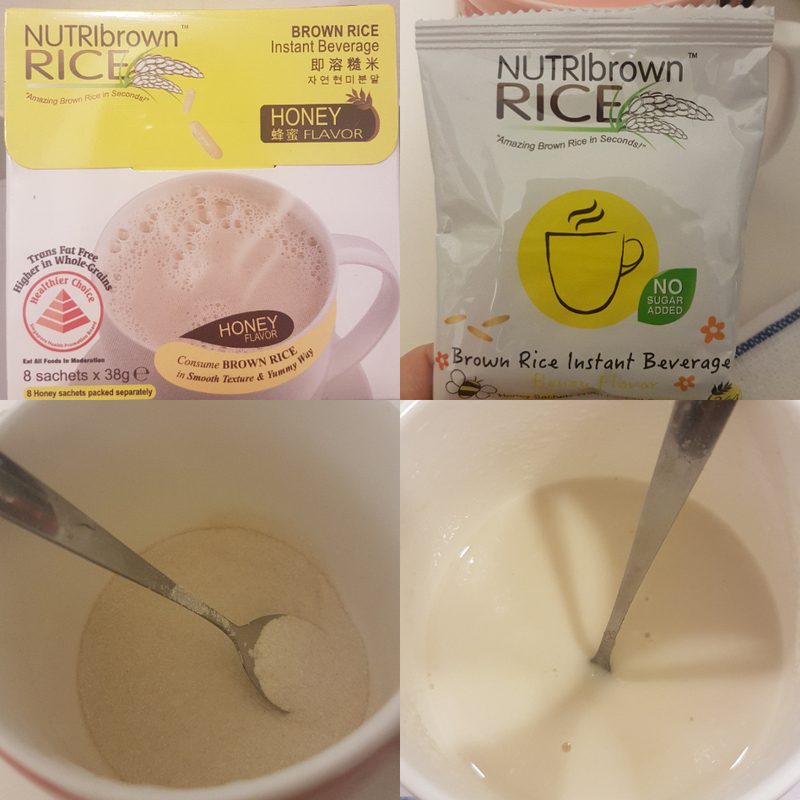 NutriBrownRice™ (Honey) is still categorised as a low sugar beverage even if you add in the entire sachet of floral honey. Honey promotes better sleep, boost memory and this is an excellent energy drink. It's a perfect match with brown rice. It's one of my favourite as recently I'm down with Asthma and I got many sleepless night (Insomnia). 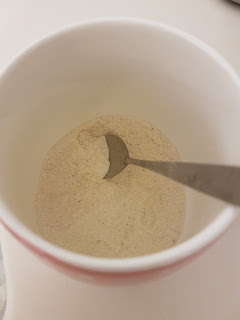 So I tried drinking the Honey flavours and it really did helps me sleep better. It doesn't taste sweet like honey though. 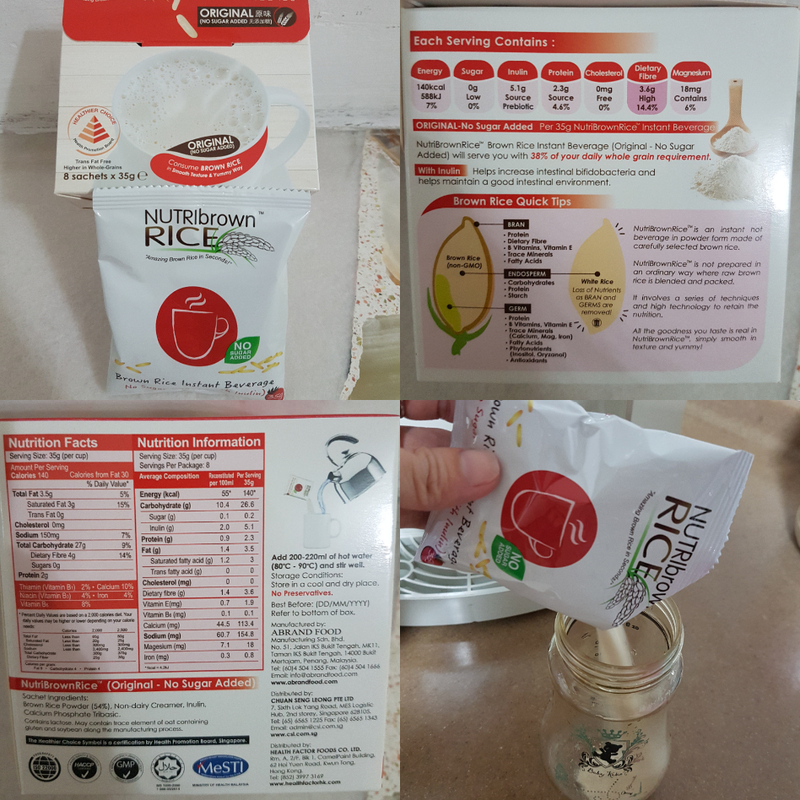 This pure brown rice powder is produced with state-of-the-art American technology, contains no addictives, preservatives or artificial colouring's. Natural nutrients retained and nutrients absorption improved. The natural brown that it further motivate me to consume regularly. Suitable for all. This is also another one of my favourite! This Contain iron & calcium, good for blood formation & bone health. because the main ingredient is brown rice instead of chocolate/malt, it doesn't cause "heatiness" to your body. 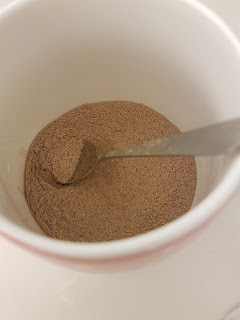 It's more delicious and healthier than any other chocolate drinks which is ideal for children! 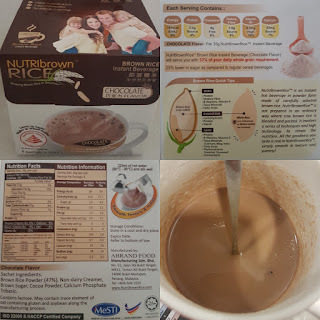 Over all the taste of Nutribrown are quite tasty but the smell when before you start drinking smell abit like medication :P haha. 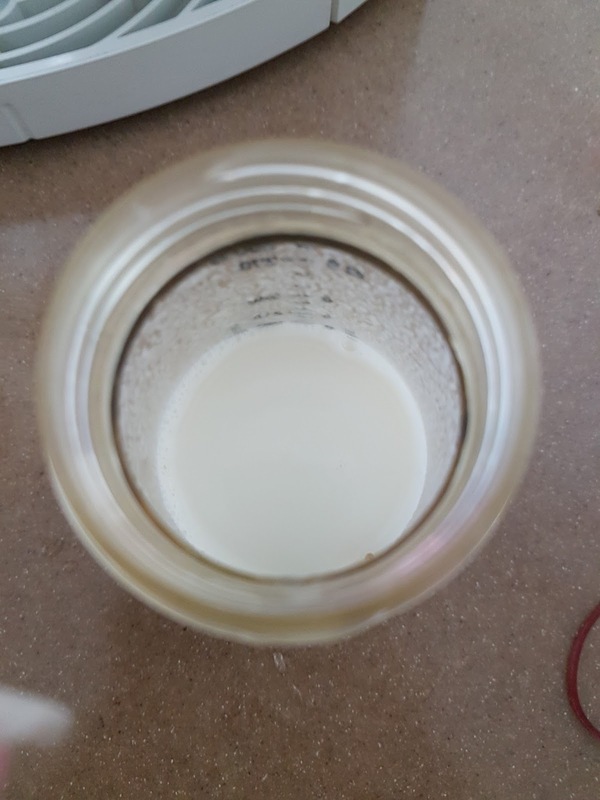 The texture is also quite smooth and easily dissolve if you stir well. 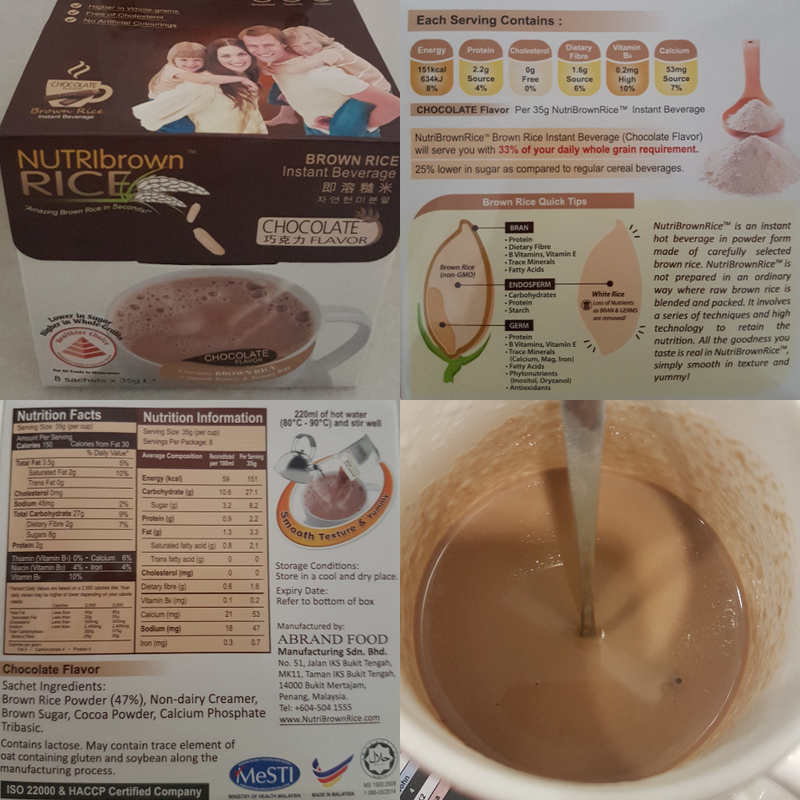 Nutribrown can be purchased in Cold Storage, Aeon Supermarkets, Sam’s Gloceria and Popular Bookstores. It is also available in selected pharmacies, organic and natural food chains. Their products are Halal Certified and obtained the highest food safety standard which is ISO22000 by United Kingdom Accreditation Services. 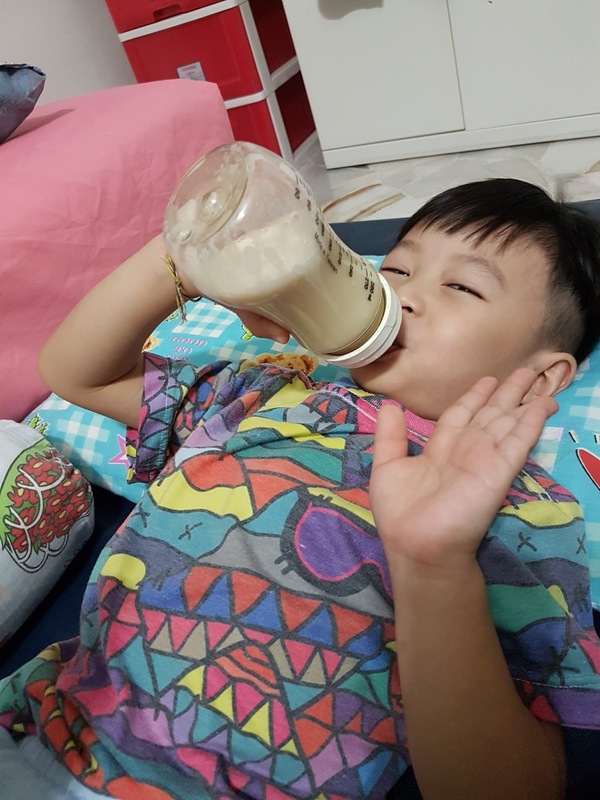 It is safe to be consumed by all ages, proven by their presence in many prominent hospitals in Malaysia and Singapore. NutriBrownRice™ is also sold in China, Singapore, Hong Kong, Korea and Europe. 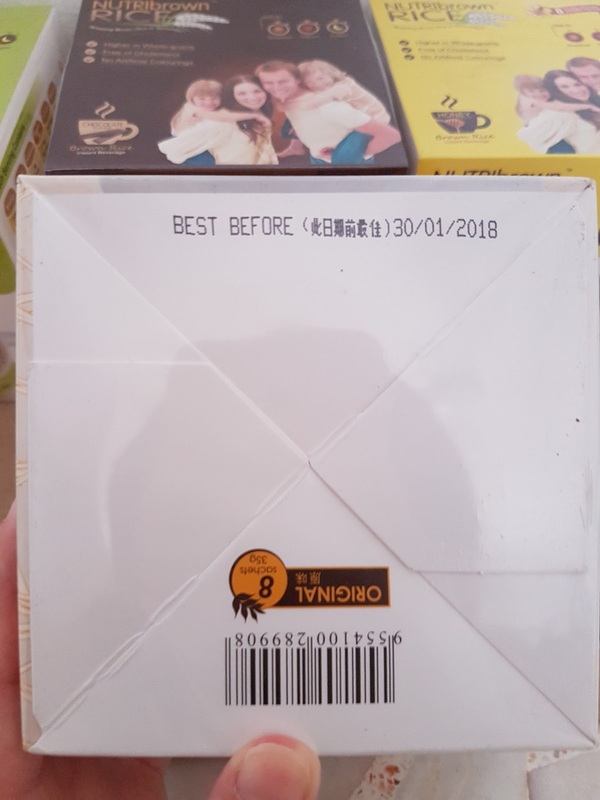 You can purchase a few flavors to try as the expiry are also long enough for you to store till you finish trying them all! Hurry get your cup of goodness today and enjoy to a great health! i love brown rice too! love the more complex texture and of course, the nutritional values. 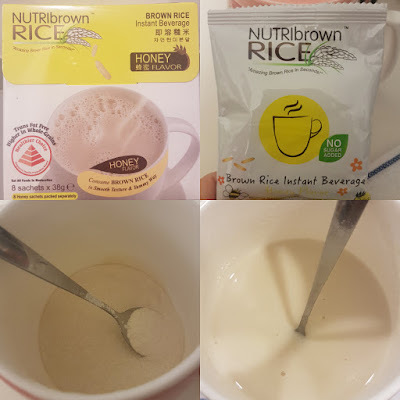 saya belum pernah rasa brown rice lagi.. tak tahu boleh masuk tekak saya ke tidak.. hehehe..
A great healthy drink. Hope my children will like the taste too. I do enjoy eating brown rice but I don't think I would enjoy drinking it but it looks as if your kid likes it. Did you like the taste? I know that brown rice is healthier Han white rice in general, however, I did not know of the lower cholesterol property. I definitely have more motivation to consume more brown rice now. This is a good innovation, especially for me that want to get healthy but only wat to eat delicious food. Can we purchase this is Malaysia? hahaha the only brand i know is EcoBrown.